le chaudron de vulcain – Décember 02 , 2017. EN. Agung , Piton de la Fournaise , Yellowstone , Popocatepetl . Décember 02 , 2017. EN. Agung , Piton de la Fournaise , Yellowstone , Popocatepetl . Home / agung / Décember 02 , 2017. EN. Agung , Piton de la Fournaise , Yellowstone , Popocatepetl . 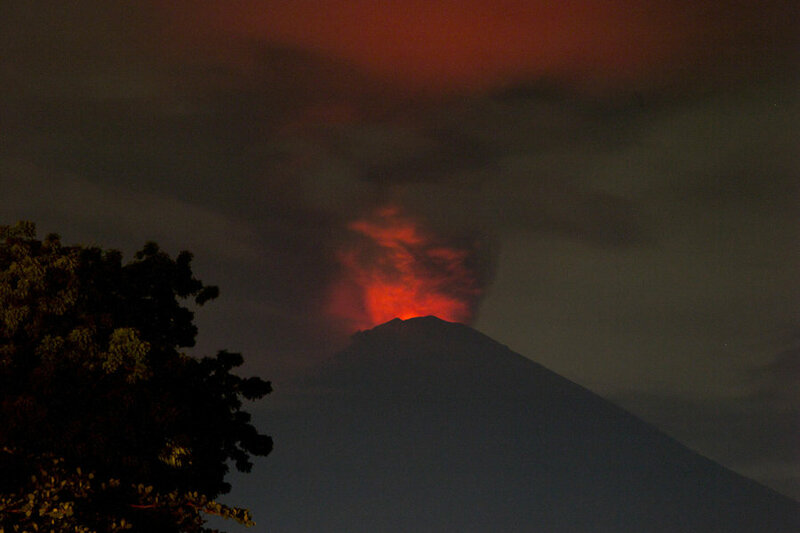 Since the eruption began and continuing until today, red glow has been observed coming from the summit crater of Mount Agung. We attribute the red glow to the presence of high temperature lava in the crater. The red glow from the lava in the crater shines on the rising column of ash and steam and gives the lower part of the ash column a red color. Lahars have taken place since the ash eruptions began on 21 November. 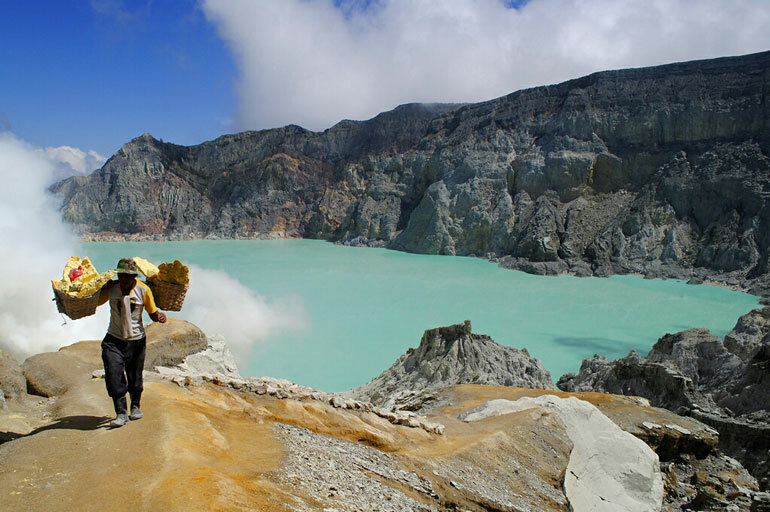 They have flowed down from the summit along rivers in in the southern sector of the volcano, including Tukad Yehsa, Tukad Sabuh and Tukad Beliaung as well as in the northern sector including Tukad Bara. These lahars have not resulted in fatalities. However, lahars have impacted houses, roads and agricultural areas. 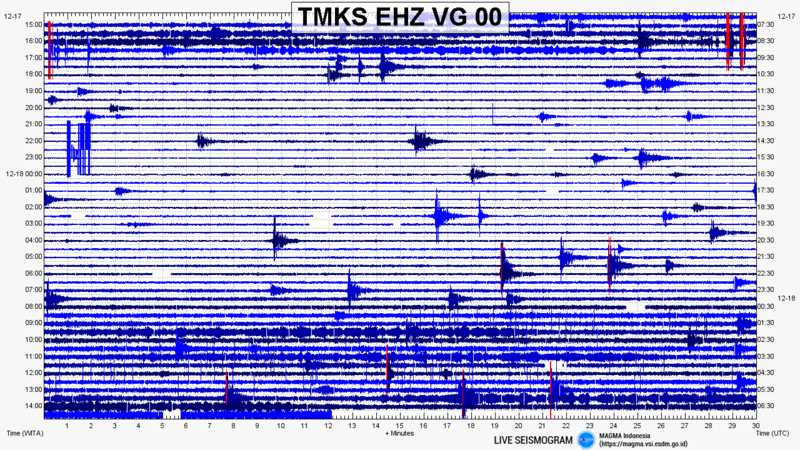 High-frequency volcanic earthquakes continue at Mount Agung, and include both shallow (and proximal) and distal types, although the occurrence rate has decreased compared to September- October 2017. The decrease in number of volcanic earthquakes is attributed to the fact that a more open pathway for magma to rise to the surface is now present. 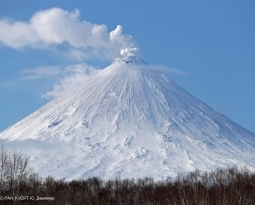 However, high-frequency earthquakes continue to occur and show that the volcano is very active and capable of pressurization to cause the ongoing eruptions. Continuous seismic tremor has taken place from 28 November 2017 through today (December 1 , 2017). Amplitude of the tremor has ranged from just above the background levels of the CVGHM seismic network to over-scale (i.e., exceeding the recording limits of the instruments used). 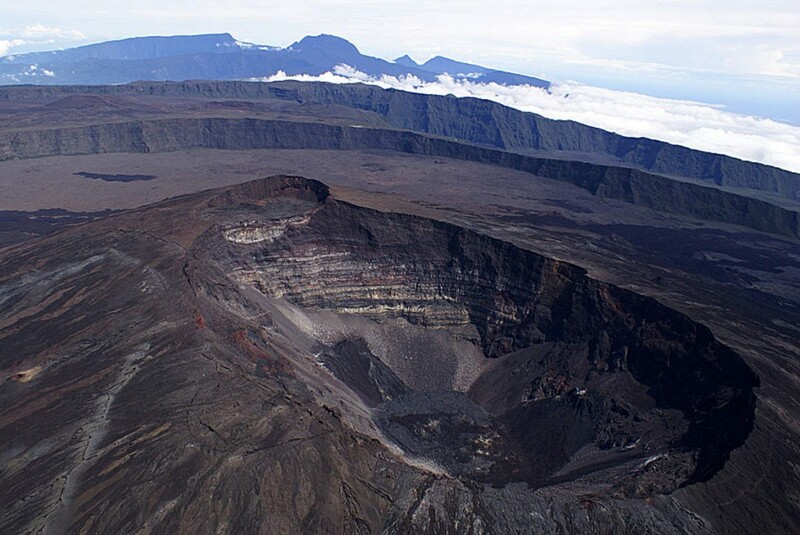 The tremor is a result of the ongoing gas and ash eruptions through the summit crater. Low frequency earthquakes have also taken place and are attributed to movement of magmatic fluids as they rise to and are erupted at the surface. Data from the GPS network did not show significant changes prior to the eruptions on November 21 and Nov. 25. 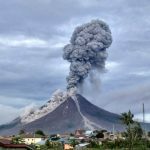 In August and September, there had been several centimeters of inflation that likely was caused by accumulation of magma beneath the volcano. In addition, tiltmeter data showed inflation before the eruption began and deflation during the eruption, as is common at other volcanoes. Laboratory analysis of ash from the initial eruption of 21 November 2017 show the existence of juvenile fragments (i.e., from new magma) as well as fragments of old lava from deposits below the vent, such as those formed during the 1963 eruption and before. Consequently, we conclude that the initial eruption on 21 November 2017 was phreatomagmatic (i.e., that it took place when the new 2017 magma interacted with groundwater below the crater. Before the eruption of 21 November 2017, CO2 gas was measured at a high concentrations by MultiGAS equipment flown using a drone. However, very little SO2 gas was detected until after the November 21, 2017 eruption. Measurements of SO2 gas were highest during 26-27 November 2017; the concentration of SO2 has decreased somewhat since that time. These data are consistent with magma rising from great depth during the extended period of seismic unrest and reaching the summit crater of Mount Agung by the time of the 21 November eruption. Satellite data also indicate that eruption of lava is ongoing within the summit crater. These data have recorded high temperatures consistent with new lava within the crater on 27, 28 and 29 November 2017. The volume of lava in the crater is currently about 20 million cubic meters, equivalent to about a third of the total crater volume. Satellite data have recorded a hot area within the crater on 27, 28 and 29 November 2017 with temperature ranges estimated at about 300 degrees Celsius. Because of technical considerations, these are regarded as minimum temperatures. The lava in the crater is much hotter, likely in the range 900-1200 degrees Celsius, based on comparison to lava from the 1963 eruption of Mount Agung. Based on multi-parameter data analysis and as of this date (1 December 2017 WITS) we conclude that volcanic activity at Mount Agung is still high. 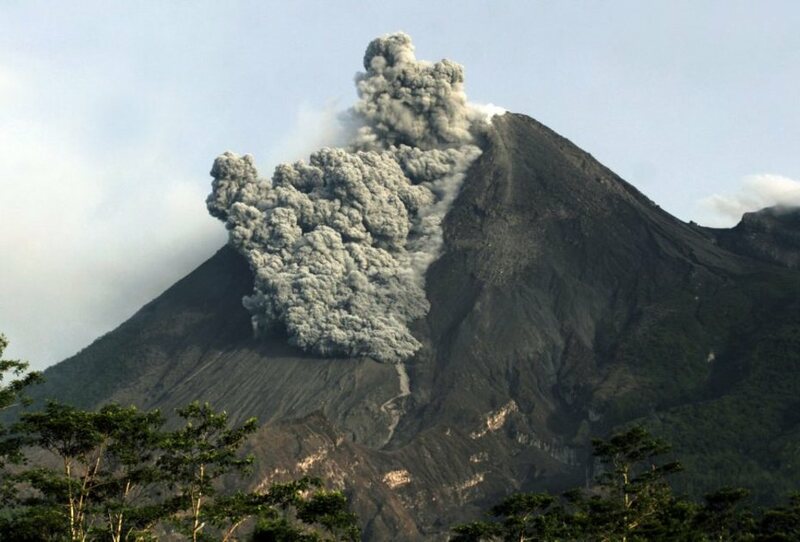 This is an ongoing eruption. Consequently, the Alert Level remains at Level IV (Awas). 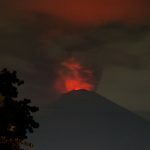 Communities around Mount Agung as well as climbers / visitors / tourists are advised to not climb or conduct any activity in the Hazard Zone, namely in the area of the crater of Mount Agung and at a radius of 10 km in sectors to the the north and northeast, southeast, south and southwest of the crater. An 8 km radius from the summit also applies to all other areas. This is a dynamic situation and the nature and extent of the Hazard Zone may be changed at any time. It is still considered safe for traveling in Bali outside of the Hazard Zone as described above. • 6 regional earthquakes (in the Indian Ocean area). Following the recovery phase of inflation (swelling) of the volcano in mid-October, the deformations again stopped in November, showing no particular signals (Figure 1). – CO2 concentrations in soil at distal sites (Plains region): the trend measured in November is consistent with the long-term decline since June (second-order fluctuations are probably associated with rainfall). – CO2 concentrations in the soil at the level of the volcano deposit: intermediate concentrations. – Top emissions from the Piton de la Fournaise: persistence of low concentrations of H2S and sometimes SO2 in the air at the top of the volcano. 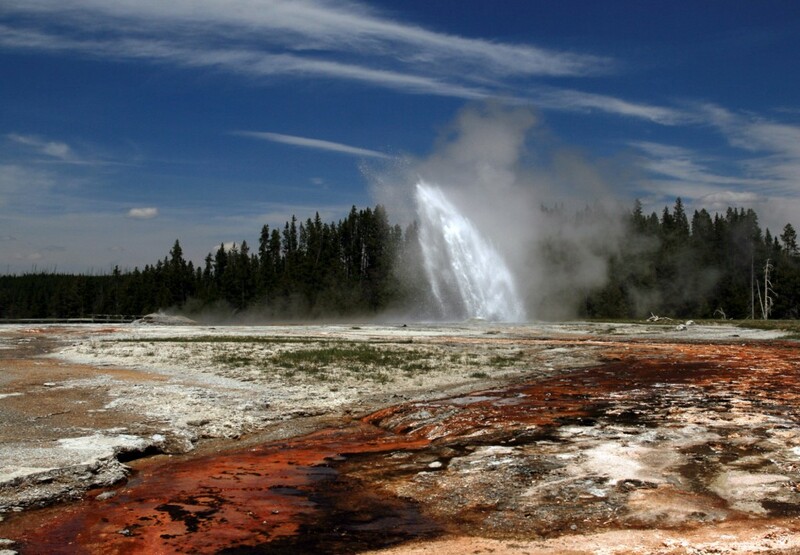 In November, the University of Utah, in collaboration with the University of Texas El Paso and Yellowstone National Park, installed 290 nodal seismometers in around the Upper Geyser Basin (near Old Faithful) in a continuation of a study that started in 2015. The temporary deployment, which lasted several days, was intended to record seismic signals from the various thermal features. 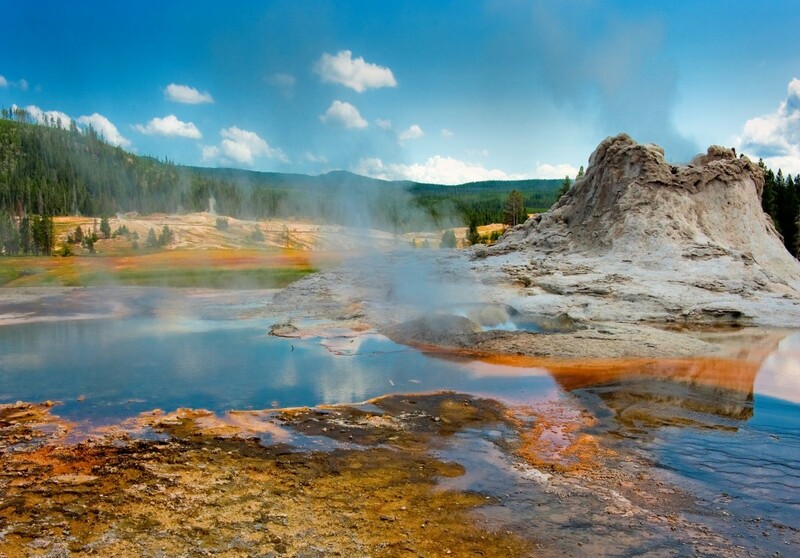 Using these signals, seismologists can learn more about the geysers and hot springs in Yellowstone. This year’s study focused on an area called Geyser Hill, which is the most concentrated area of hydrothermal activity on Earth. One goal of the deployment is to identify the underground root of Geyser Hill thermal features and to see if they originate from a common reservoir or if they have distinct sources. Similar work in 2015 focused on the plumbing system of Old Faithful and was published recently in the journal Geophysical Research Letters. During November 2017, the University of Utah Seismograph Stations, responsible for the operation and analysis of the Yellowstone Seismic Network, located 63 earthquakes in the Yellowstone National Park region. The largest earthquake, magnitude 2.1, occurred on November 26 at 01:32 PM MST about 18 miles west-northwest of West Yellowstone, MT, in the Maple Creek area. This area of Yellowstone has experienced high levels of earthquake swarm activity for the past several months. During the latter part of October and in to November, seismicity levels returned to normal background levels. No other swarm activity was observed in Yellowstone in November. After being elevated through much of the summer, Yellowstone earthquake activity is now at normal levels compared with typical background activity observed over the last few years. Ulift north of the caldera, near the Norris Geyser Basin, has been minimal over the past month. Similar pauses in upift of this area have occurred sporadically during the general period of uplift that has been ongoing since late 2015. GPS stations within the caldera show continued subsidence of a few millimeters per month, which has also been ongoing since late 2015. December 01, 11:15 am (December 01, 17:15 GMT). 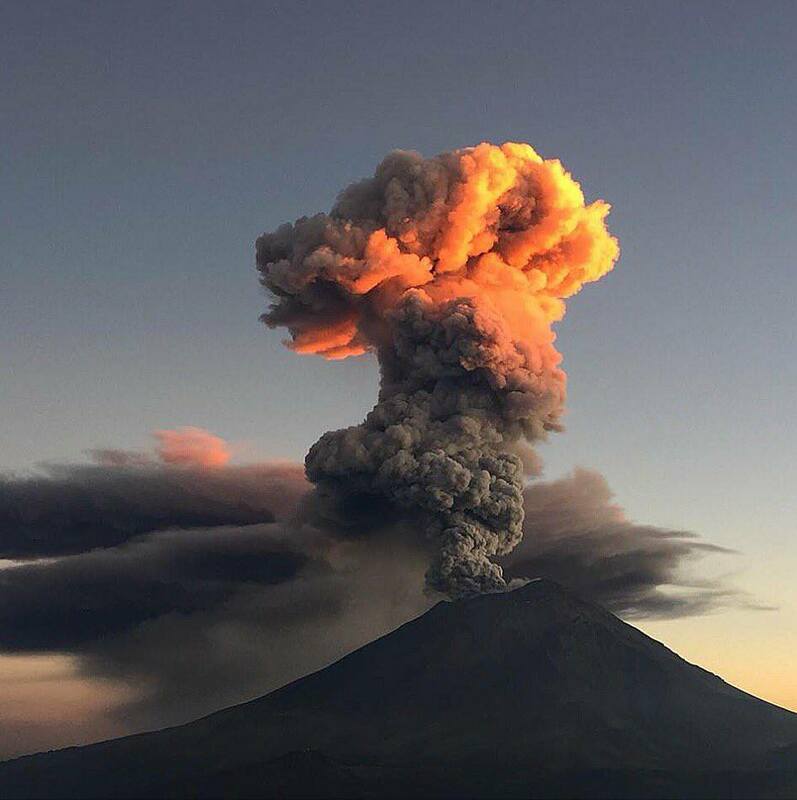 In the last 24 hours, 595 low-intensity exhalations accompanied by steam and gas have been identified thanks to the seismic monitoring systems of the Popocatepetl volcano. In addition, two low intensity explosions were accompanied by ash emissions, rising to a height greater than 1 km. The ashes associated with these events were scattered by the winds in a south-easterly direction. Finally, there were five volcano-tectonic earthquakes of magnitude between M1.3 and M2.5. In addition, 136 minutes of harmonic tremor were recorded. 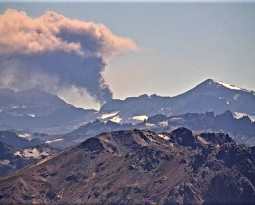 From this morning until the moment of this report, the volcano has been observed with an emission of water vapor and gas that disperse with the southerly winds. 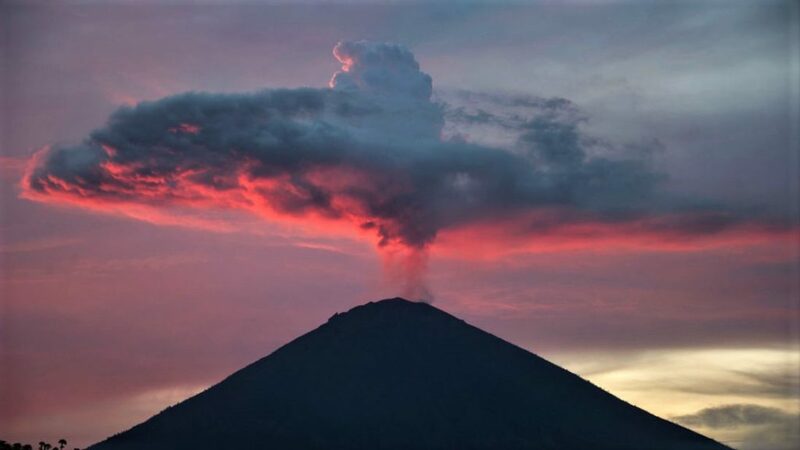 CENAPRED asked not to approach the volcano and in particular the crater, because of the risk of falling of projectiles, and in case of heavy rain to stay away from the bottom of the ravines, because of the danger of landslides and flows mud. Étiquettes : agung, Blog Georges Vitton, etats-unis, Indonesie, la réunion, Le chaudron de vulcain, Mexique, piton de la fournaise, Popocatepetl, Yellowstone. 02 Decembre 2017. FR . Agung , Piton de la Fournaise , Yellowstone , Popocatepetl .